Tribal Xplosion Loops - Construction Style Music Loops of Ethnic, World, & Urban Melodies & Hooks! 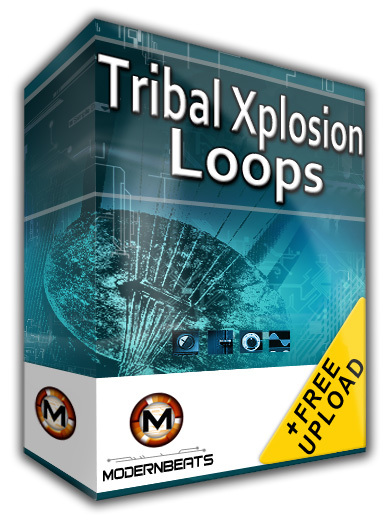 Download Tribal Xplosion Loops 1 - Featuring over 310 urban ethnic music loops in construction-style layout, 870+ files in 3 formats (WAV/AIFF/REX2), and 700MB in total size - ModernBeats delivers "Tribal Xplosion Loops 1"! This melodic construction style loopset provides 26 multi-track tribal themes of both rare ethnic instrument riffs & conventional instrument melodies combined! Developed at hip-hop tempos 87BPM & 97BPM, each theme delivers layered performances of ethnic and urban instruments where each layer is separated into its own instrument loop file. Loops are modeled in the style of platinum producers like Timbaland, Darkchild, Neptunes, Scott Storch, Dre, Bloodshy & Avant, and more. Below is full list of instruments included. Tribal Xplosion Loops Collection - Download the complete collection (Volumes 1 & 2) for over 645+ loops (1,800+ files) in 4 tempos (87BPM, 92BPM, 97BPM, 102BPM) and in 3 keys (A, C, G) provided in 3 formats (WAV/AIFF/REX2). Packed with 23 rare ethnic instruments from around the world plus bonus urban tracks, 'Tribal Xplosion' provides users with a vast array of hit-worthy urban ethnic performances. All loops mix-match seamlessly together, allowing users to combine and create hundreds of original multi-track musical compositions with ease!